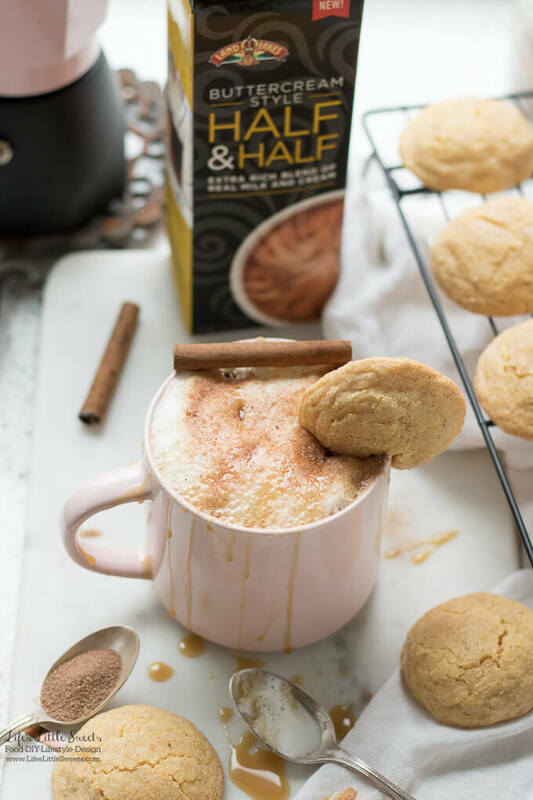 This Indulgent Homemade Snickerdoodle Latte is an indulgent hot, coffee drink made with espresso or coffee and topped with extra creamy & rich New Land O Lakes® Buttercream Style Half & Half. You can garnish with a cocoa cinnamon-sugar mixture, cinnamon sticks and a drizzle of caramel sauce. 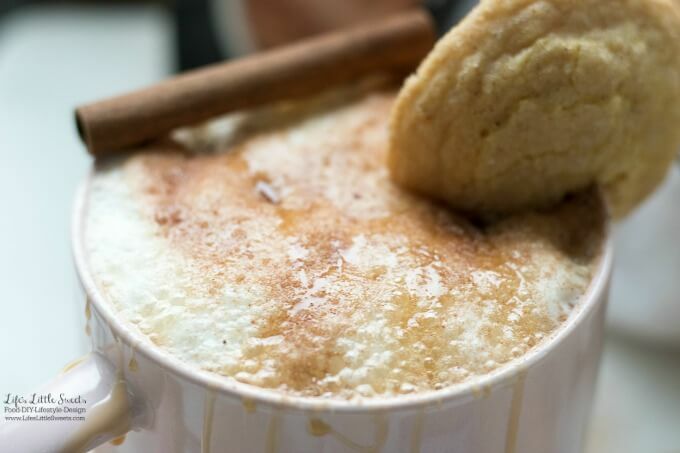 Hi Everyone, I have the perfect indulgent coffee drink for you, this Indulgent Homemade Snickerdoodle Latte recipe. 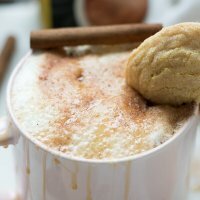 This is a great coffee/espresso drink for entertaining, as well as a special treat for yourself. 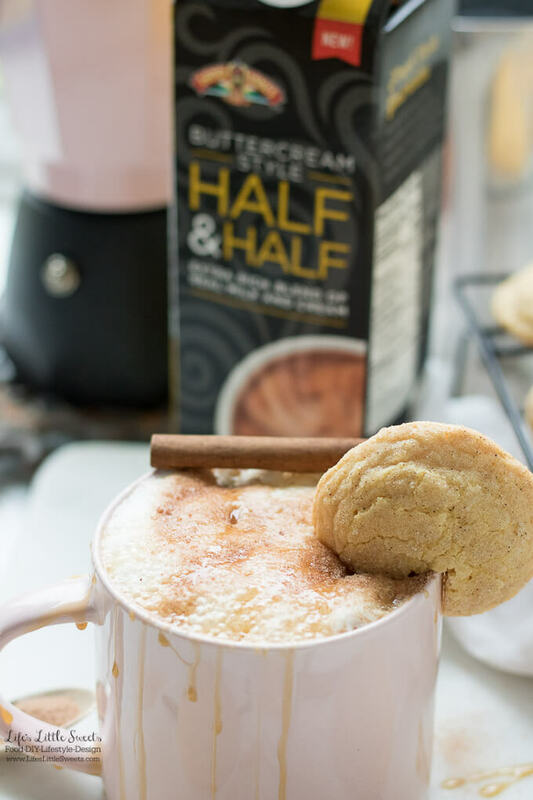 There’s nothing like warm cinnamon, energizing coffee or espresso along with super creamy New Land O Lakes® Buttercream Style Half & Half combined to warm you up on a Fall day. You could serve it at Thanksgiving, Friendsgiving, Christmas or any Fall-Winter gathering. 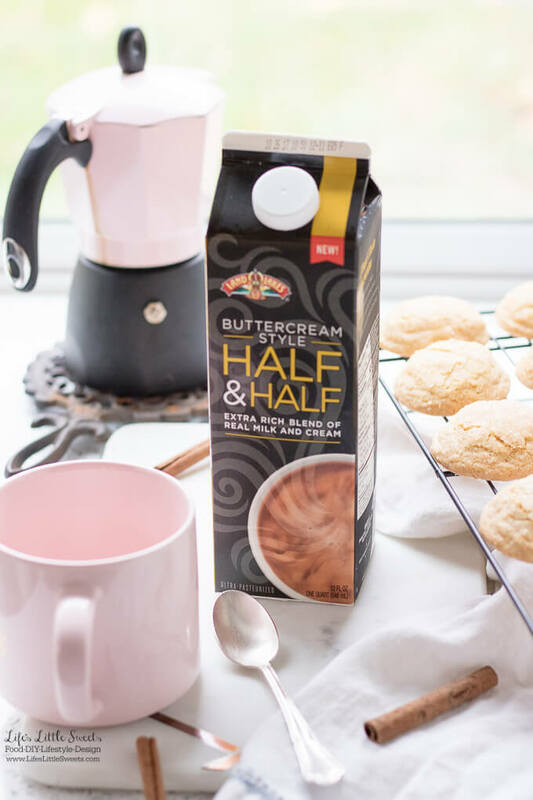 Half and Half is always my choice for accompanying my morning coffee or espresso which was why I was very excited to try out New Land O Lakes® Buttercream Style Half & Half. To me, it’s the worst when coffee tastes watered down and isn’t strong or creamy enough. 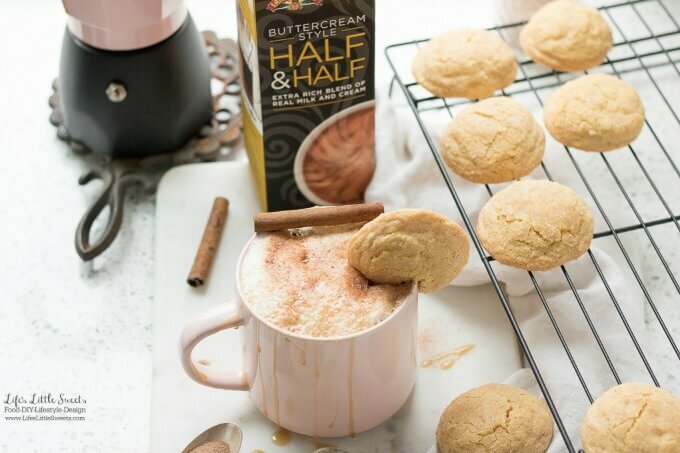 When I tried New Land O Lakes® Buttercream Style Half & Half I was very pleased how creamy and rich it made my coffee and this Indulgent Homemade Snickerdoodle Latte. 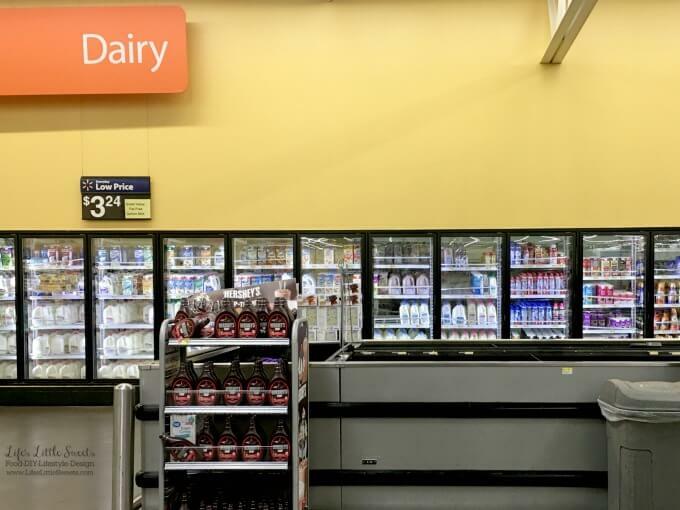 I found New Land O Lakes® Buttercream Style Half & Half in the Dairy section at Walmart. 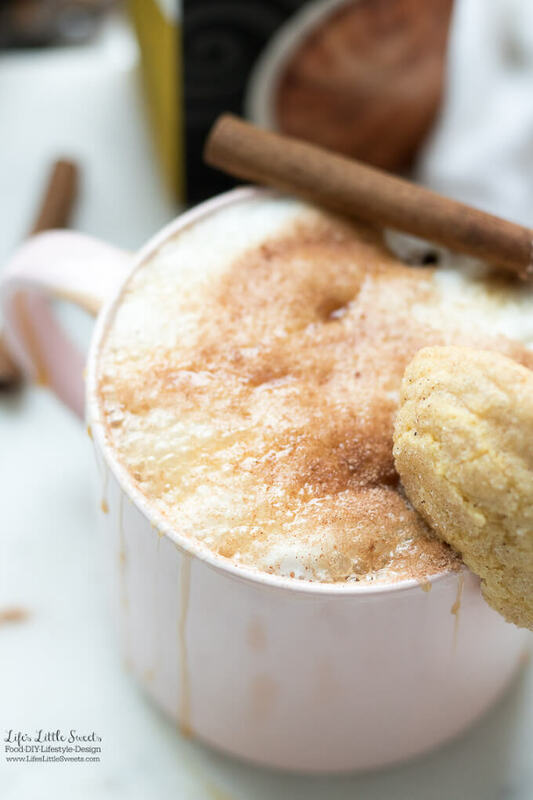 Perfect Snickerdoodle Cookies and Pumpkin Snickerdoodle Cookies, optional for garnishing 🙂 *I made my Pumpkin Snickerdoodle Cookies for these photos which are perfect for the Fall-Winter season! 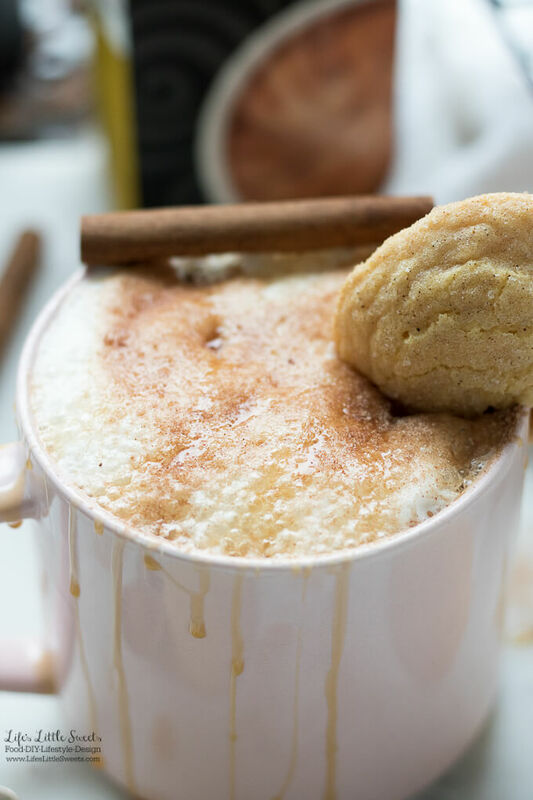 I know you will love this Indulgent Homemade Snickerdoodle Latte recipe! 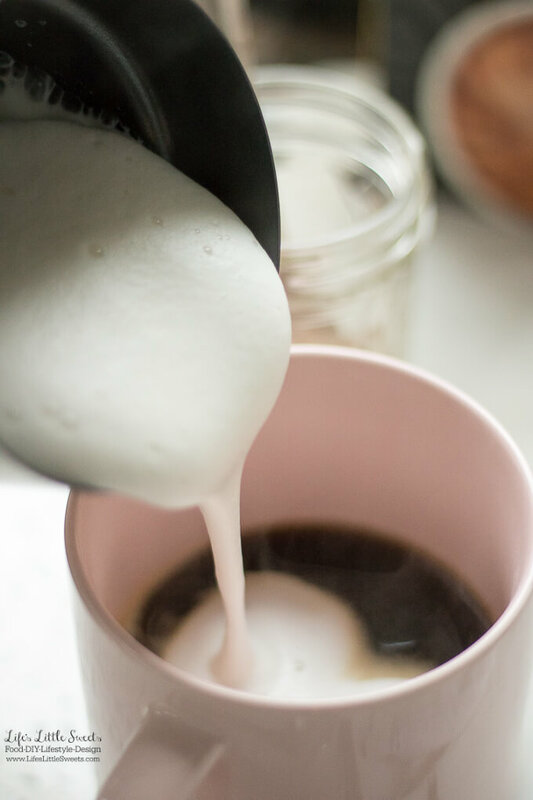 You can use a stove top espresso maker (like I have), or make using your regular coffee maker or pod-style coffee or espresso maker. Add to your wide-style coffee mug (best for lattes). Using a milk frother, froth the milk, add the frothed milk and then add the foam on top. Sprinkle with cinnamon-sugar mixture or cocoa and cinnamon-sugar mixture or pumpkin spice mix – sugar mixture sugar. Add a drizzle of caramel sauce, if you wish. Serve with Perfect Snickerdoodle Cookies and Pumpkin Snickerdoodle Cookies, if you wish. Enjoy! Nice and easy, I tried it yesterday for a good start of the week 🙂 Thanks for this inspiration!